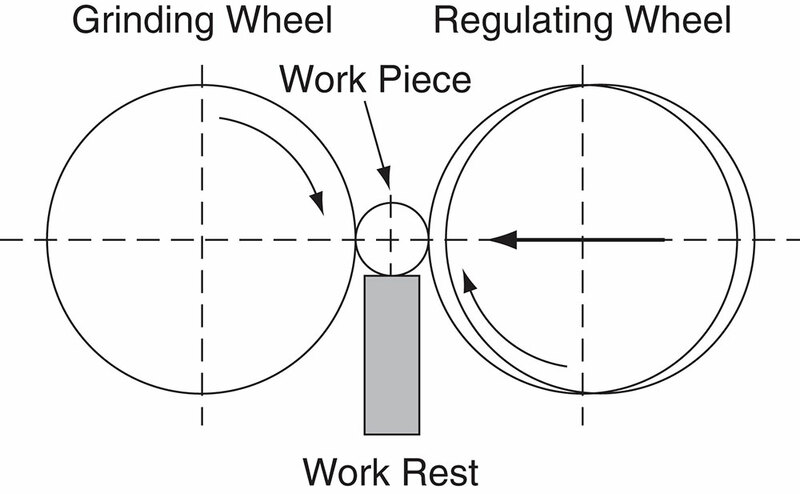 Centerless Grinding is so named because it removes material without the use of a spindle. 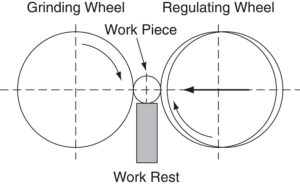 Centerless grinding is accomplished by placing the tubing or rod on a work rest that positions it between a regulating wheel that spins the stock in one direction, and a grinding wheel that spins in the opposite direction. By varying the distance between the wheels, highly accurate outside diameters and improved circularity can be achieved. 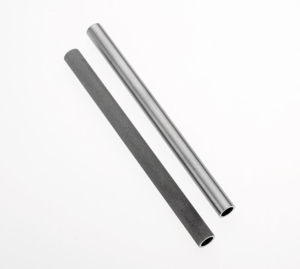 Centerless Ground material can offer tolerances as tight as ±.0002, and wall thicknesses as small as .0015, depending on raw material starting size and material composition. By employing different grit wheels and tube polishing, MicroGroup can also offer OD surface finish as smooth as 6 RA. 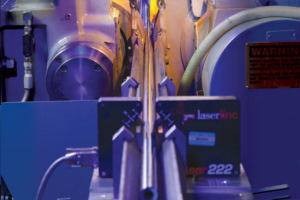 To produce a custom sized tube, it is often more economical to select a standard ID size and grind it to the desired OD size, than to incur the higher set up costs associated with redrawing.